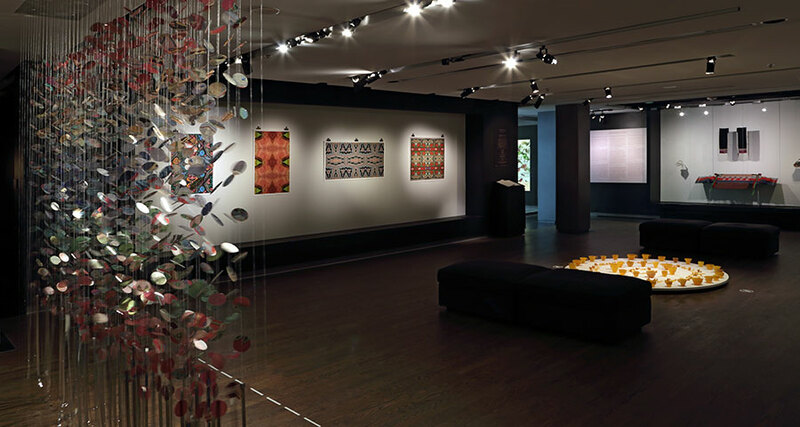 Hannah Claus’ solo exhibition opened to the public at the McCord Museum on Thursday, March 7. 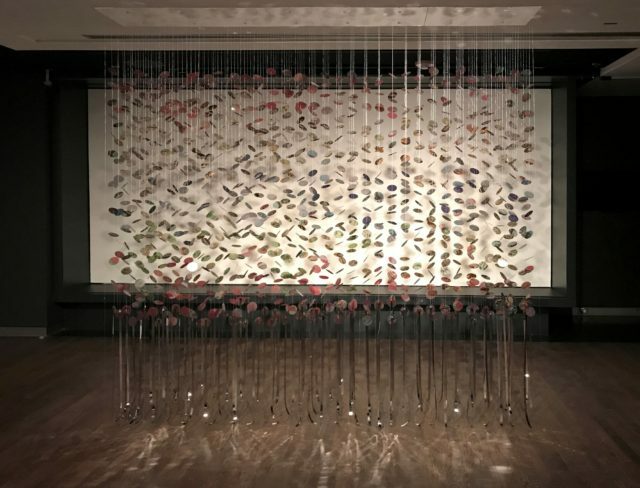 Claus’ exhibit is titled “there’s a reason for our connection” and is part of the Museum’s annual Artist-in-Residence Program. Through this program, a selected artist is given access to the Museum’s collection and is able to create new works of art from their own perspective, influenced by and using the existing archives. Claus comes from English and Kanien’kehá:ka (also known as Mohawk) heritage, the latter of which heavily influences her latest work. 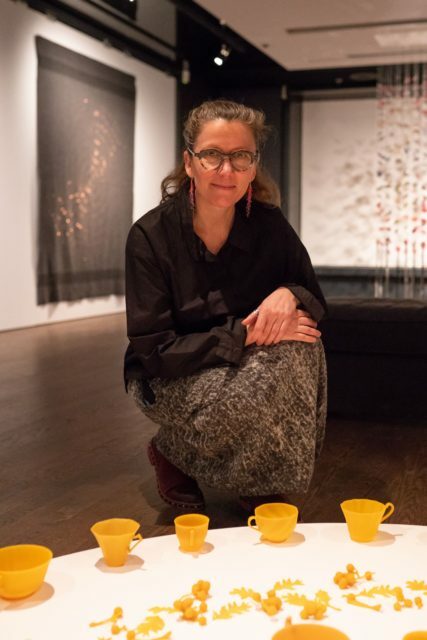 Her exhibition explores the notion of relationships, an important concept in Iroquois culture, and focuses specifically on people’s connections with the objects they’ve left behind. In exploring the museum archives, Claus was able to create an exhibition that relates the past to the present. Claus’ exhibition is a multidisciplinary experience. Upon entering the exhibition, two of her influences are immediately presented: a display of Haudenosaunee beadwork and a collection of North West Company fur trade booklets. While trying to decipher what the text on the booklets reads, Claus imagined the difficulty faced by Indigenous peoples in taking part in these trade transactions. Lining the walls of the exhibition are dark blankets with copper pins, representing the writing found in the fur trade booklets. Claus revealed during a press conference that, while blankets have had a negative connotation due to their role in the passing of diseases, they hold an important place in Indigenous rituals and were used as currency in fur trading. 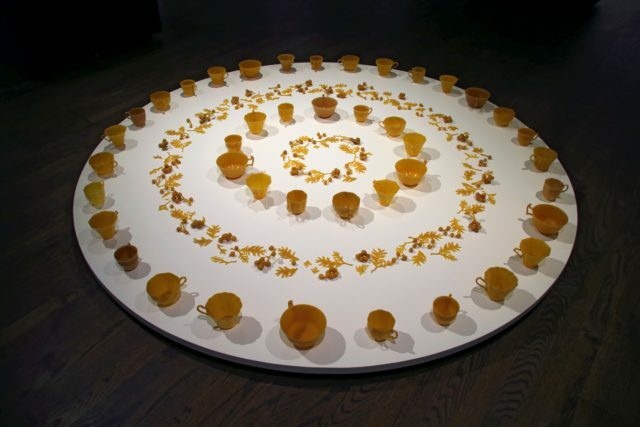 In another part of the exhibition, the gallery floor is covered in cups, organized in a circular formation. 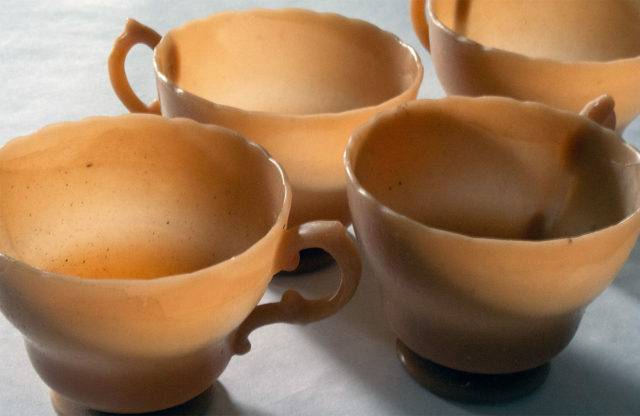 The cups are made of beeswax and inspired by Claus’ mother’s own collection. They were repurposed from the colonial cups found in the Museum and rethought from Claus’ perspective. She centers her Indigeneity in the colonial cups by lining the ground around them with cranberries and medicinal teas. At the opposite end of the room is the piece that Claus is most known for, titled fancy dance shawl for Sky Woman. The work acts as a metaphor for the creation story of the Iroquois people, in which the Sky Woman fell on the Great Turtle, which then became the earth. Strings of disks, which contain close-up details of the other objects in the collection, hang from the ceiling. Air blows on the installation, creating moving shadows projected on the wall behind it. Claus describes this installation as a “shawl.” In observing this work of art, visitors have the opportunity to sit down and reflect on the Iroquois creation story. “there’s a reason for our connection” will be on display at the McCord Museum until August 11.